Quality, Trusted, Family owned community Banking for over 100 Years! 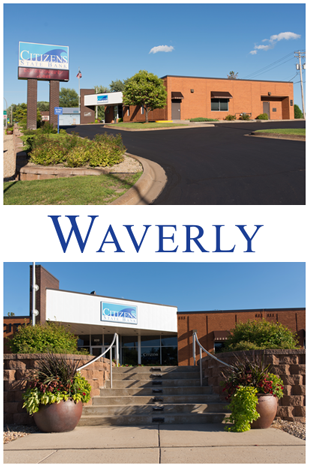 Continuity of family ownership means a great deal for the communities of Montrose and Waverly. Your dollars stay local to help support the people, businesses, schools and organizations within your community. You are treated in a friendly, fair and ethical manner by owners and staff that get to know you personally. Any question or concern regarding your banking relationship will be handled quickly and courteously. It means a solid and safe bank. A place you can trust for your financial needs. 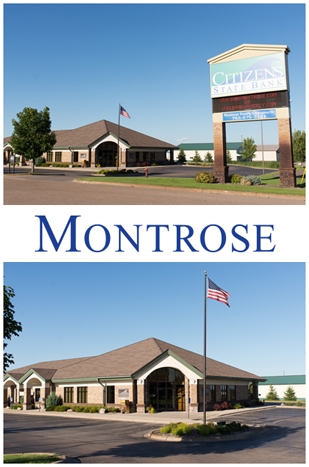 Serving the Montrose/Waverly Community and the people within the local area is what Citizens State Bank is all about! The Mission of Citizens State Bank is to provide quality, trusted community banking every day, with personal service second to none. We offer both traditional and innovative products and services coupled with exceptional customer service. Our friendly, knowledgeable employees are dedicated to working with you to find the best fit to achieve your financial goals, offering competitive rates on loans and CD’s along with checking and savings account options suited to your needs. Citizens State Bank has always been, and continues to be, a Strong, Safe, and Secure community oriented financial institution.